It was founded in September 1986, but due to the devastating earthquake in the city at the time, it was only completed in 1990. 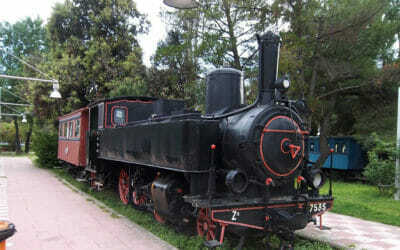 The venue that was chosen for the open museum – exhibition area was the old station “Kalamata – Limin” and the neighboring area of OSE SA, which at the time of steam trains was a coal cellar. 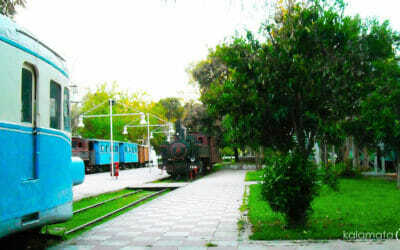 The Kalamata Municipal Railway Park occupies a total area of 54,000 m2 in one of the most central locations; 24,600 m2 were donated by OSE SA, including the two-floor building of the old station “Kalamata – Limin” and a water tower. Another 28,000 m2 were donated by the Municipality of Kalamata and 1,400 m2 by the Agricultural Bank of Greece. The museum exhibits include the station itself and all its sections including a two-storey station master lodge, four boarding platforms with an entry booth, the water tower, three locomotive taps and wheelhouses, a 28 m metal footbridge along the axis of the station master lodge, minor railway organization equipment (rail switches, lights). Seven steam locomotives and one diesel wagon, a manual crane (1890), two drezines (bicycle- and manually operated), three passenger vehicles of first class, five of first-second class (1885), eight trucks of various types (1885-1947) are also showcased. All the rolling stock has been provided by OSE SA (Peloponnese and Thessaly networks), except from the ISAP train which is on loan from the Municipality of Kalamata. The museum is located just five minutes away from the central square of Kalamata, following Aristomenous street towards the port. 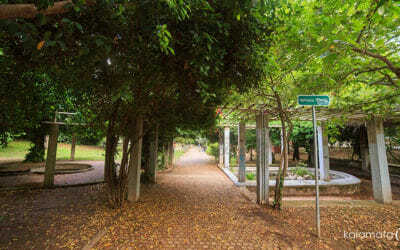 The area of the park is contained by Macedonia street, Crete street near the port and the two vertical streets, Aristomenous and Psara. In addition to the railway exhibits, the park includes basketball and volleyball courts and other children recreation facilities. 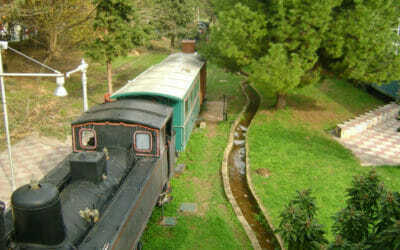 The park, either within railway vehicles or in its buildings, houses various associations, such as the Messinia Railway Friends Association (SFSM). It is worth noting that the main building of the park is the renovated “Kalamata – Limin” railway station which currently houses a refreshment bar on the ground floor and the SFSM on the first floor; its use has been authorized by the Railway Employees Club and OSE S.A.